Reading and studying books was never on my radar as a teen! I mean heck, I could hardly stand my textbooks, if I’m allowed to be honest. However, as I matured and grew up I realized that true power lies in the pages of books. Particularly at least for me, self help and development books. 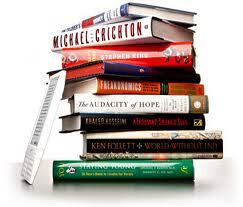 The more my hunger intensified for success, the more I attracted people who would suggest great books. I didn’t understand the power of books until I was 23 years of age, but boy when I did my entire world opened up. These books gave me great insight into the minds of some of the greatest thinkers, entrepreneurs, moguls, innovators, and successful people ever. From Think and Grow Rich by Napolean Hill to Do You by Russell Simmons, right down to The Success Principles by Jack Canfield has all inspired me in some way shape or form. I am a firm believer that readers are leaders and now when I look back, I wish that someone who have instilled in me the value that reading books can add to your life. Today, as a youth and teen motivational speaker, I have a point in my talk where I speak on the power of reading. Encouraging teens that there is nothing that they want to do, that someone hasn’t already done. I gauarantee to them that its somewhere in a book. Somebody, somehwere has written about it. However, my underlining point to our youth is that self development books has helped me make it through trying times. Rough times. Rocky times and difficult times. On numerous occasions I would open up a book like Les Brown’s Live Your Dreams and it was as if he was talking directly to me. It’s been far to many times where I hit a wall in business and opened up books and just read until I couldn’t read anymore. As a result, I was able to realign myself and continue to pursue my dream. I really and truly have no clue where I would be if I had not realized the importance of books. If you are a young person or have children I highly encourage you to encourage them to read and study individuals who can help get them to their desire destination. Sometimes the best mentors are not those whom you can touch, but those with whom you can read about. Click here to review my list of Top 10 MUST have books! ← Indian Creek H.S Was Amazing!